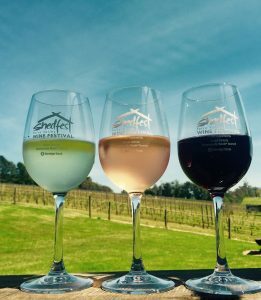 Shedfest is an annual winery festival held on the second weekend of October, it is a great time to visit the Yarra Valley and enjoy everything on offer. 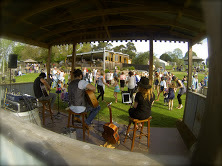 During the Shedfest event wineries in the Yarra Valley will open their sheds to house two days of fabulous food, fine wine, live music and entertainment. If your type of festival is one where you can take it easy, taste local produce, experience the charm of small vineyards, be captivated by stunning views, chat to the owners and winemakers, tap your toes to some fine tunes, play pétanque, take croquet lessons, lawn games and watch the kids have fun, all while sipping delightful wines… then Shedfest Wine Festival is for you. Live tunes by the talented King Louie & the Cheeky Monkeys.